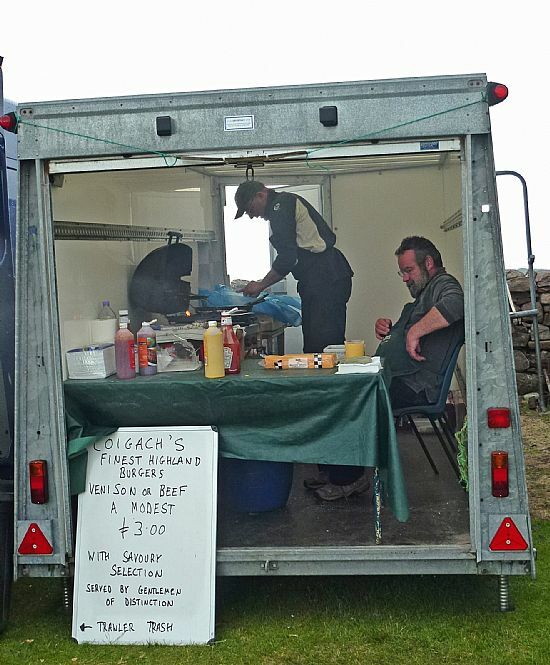 The annual Coigach Gathering is the biggest event in the calendar for the local community and all the people of Coigach welcome family, friends and visitors to take part in this fun event and general merriment. We have decided to hold the Gathering on the last Saturday of June each year due to events nearby being held on the first Saturday of July. This year our Chieftain is David Green. 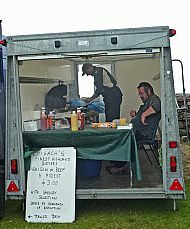 Venison burgers, beef burgers, herrings in oatmeal and 'Pints of prawns' were on sale to be enjoyed by all. 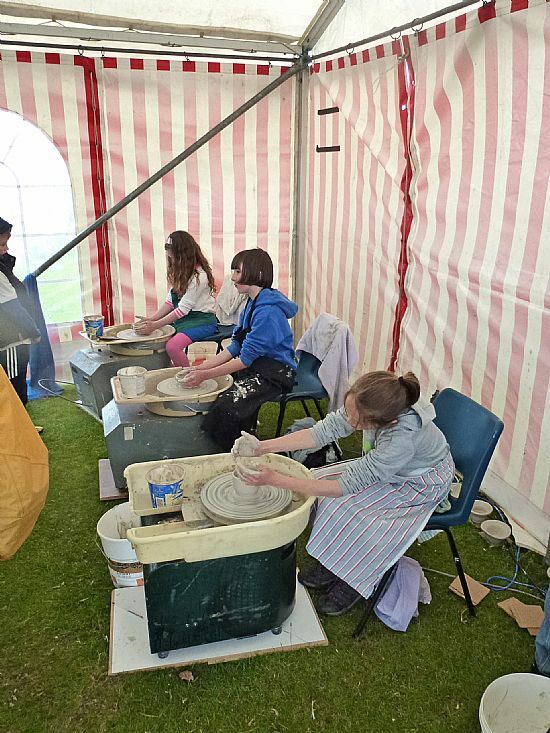 The youngsters realy enjoyed getting 'hands on' at the at Fergus's potter's wheel. 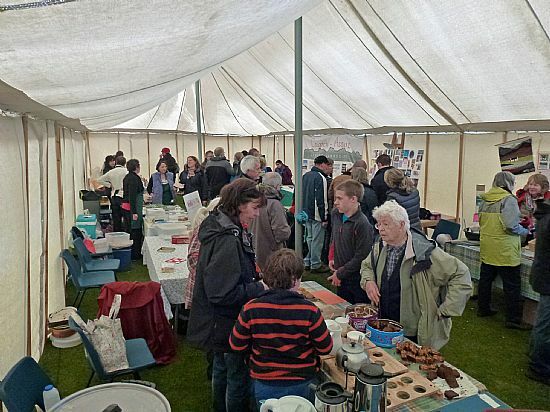 A steady flow of customers kept the food and craft stands very busy. 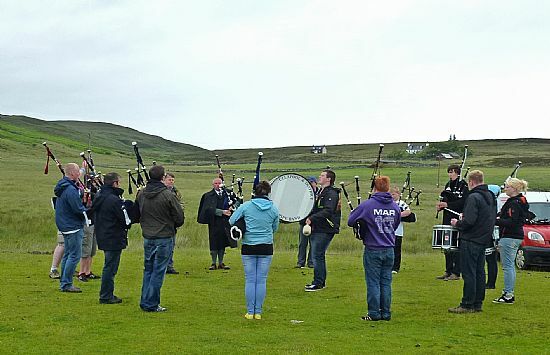 Pipers and drummers from Achiltibuie, Ulapool and further afield braved the rain and wind to put on a really good show.